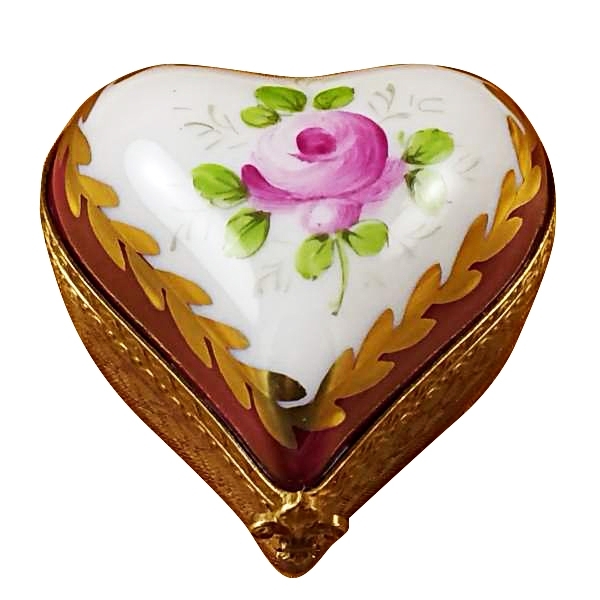 Burgundy heart w/flowers - Limoges Boxes and Figurines - Limoges Factory Co. 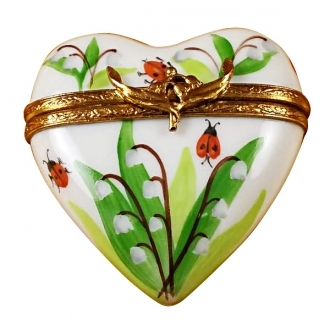 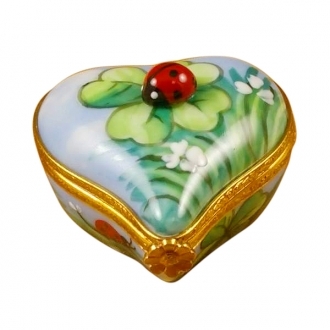 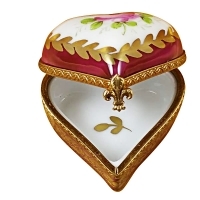 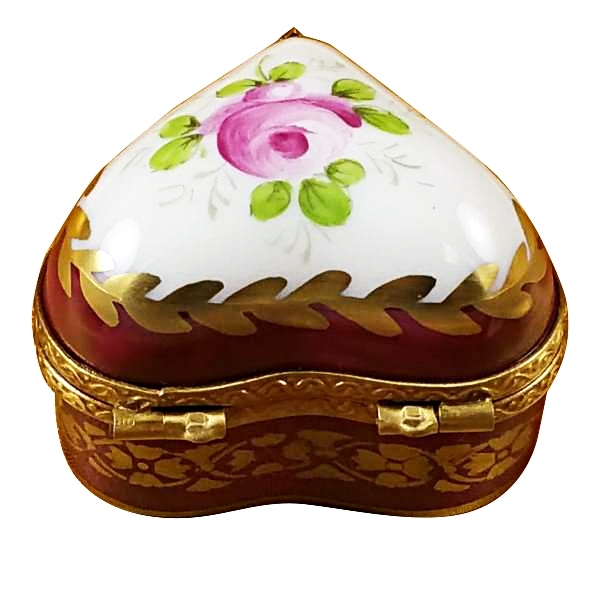 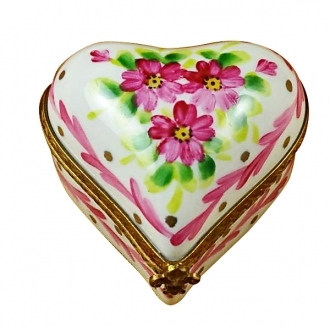 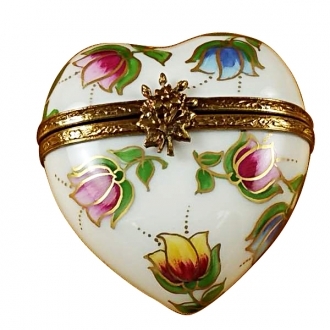 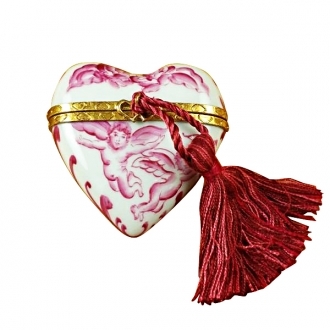 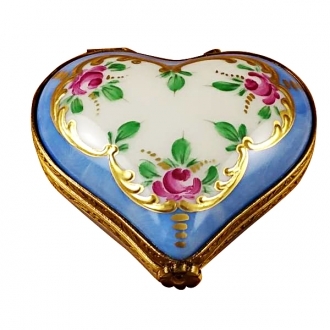 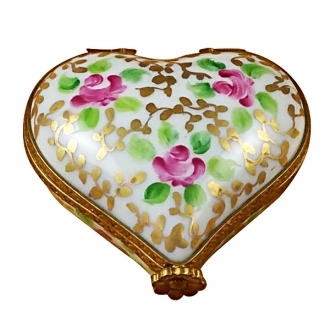 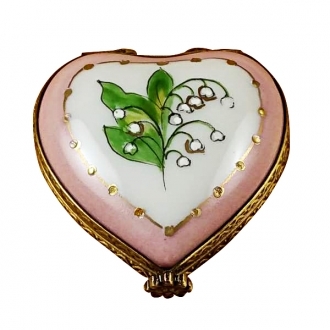 Decorated with beautiful flowers on a gorgeous burgundy color this heart limoges box will be a luxurious gift. 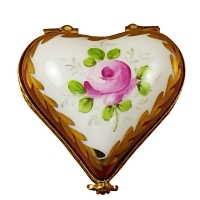 Measurements: 1,5" х 1,75" х 1,25"